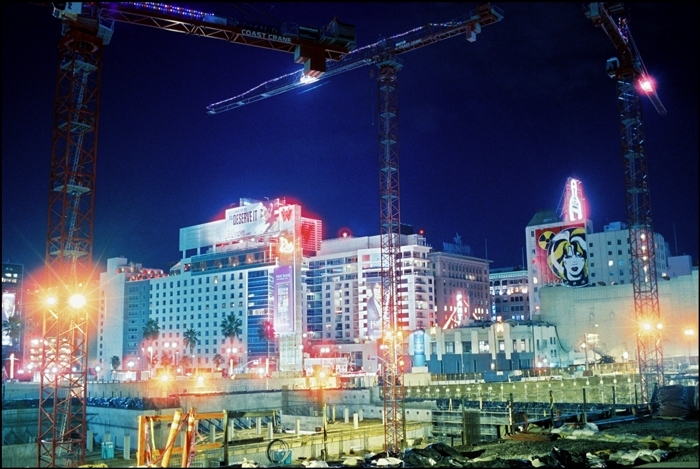 >CineStill 800T ISO 800 Tungsten Color Film 35mm x 36 exp. CineStill 800T ISO 800 Tungsten Color Film 35mm x 36 exp. 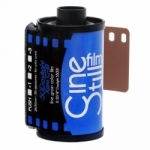 CineStill film is the amazing technology of motion picture film, prepped and rolled for still photography. 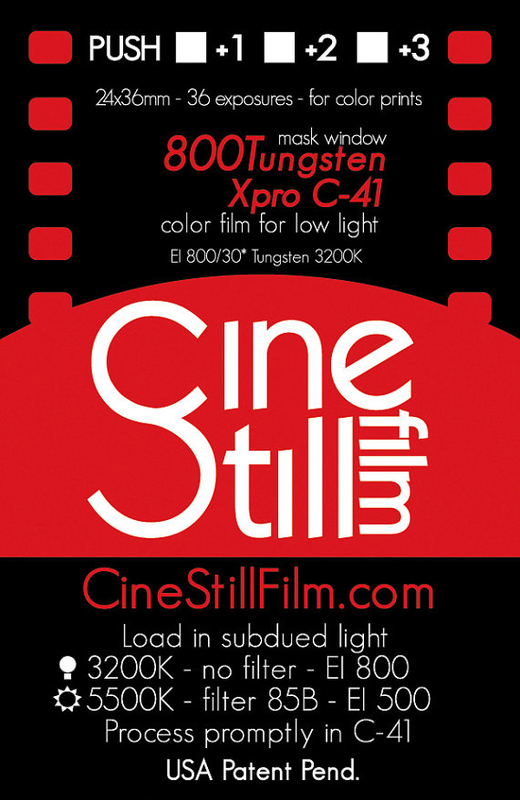 CineStill 800Tungsten is a unique film for still photographers. This film is great when rated ISO 200-2000 and can be pushed over 3000! 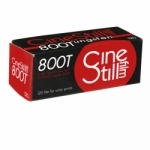 This 800 speed tungsten balanced color negative film is prepared from the same motion picture material used by top cinematographers around the world. This film is designed for difficult low light tungsten situations and may be used in many different lighting situations to achieve a variety of looks. The new and improved proprietary "Premoval" process makes motion picture film safe to process in standard C-41 photo lab chemicals or at home. This emulsion is optimized for a hybrid workflow, ideal for scanning, and when processed in C-41 chemistry it can be optically printed on RA-4 paper. Treat this film as a high speed 800 ISO film when processing in C-41 and push process whenever needed up to 3200 ISO. 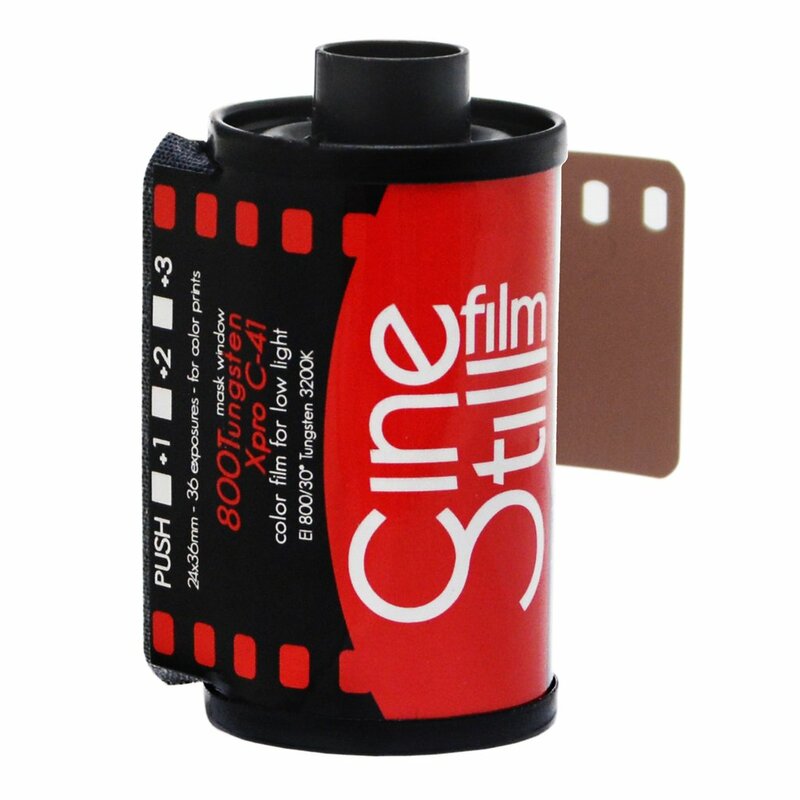 Expiration: Unexposed CineStill film has a 1 year shelf life, and should be stored in the fridge and shot within 6 months of purchase to achieve optimal results. 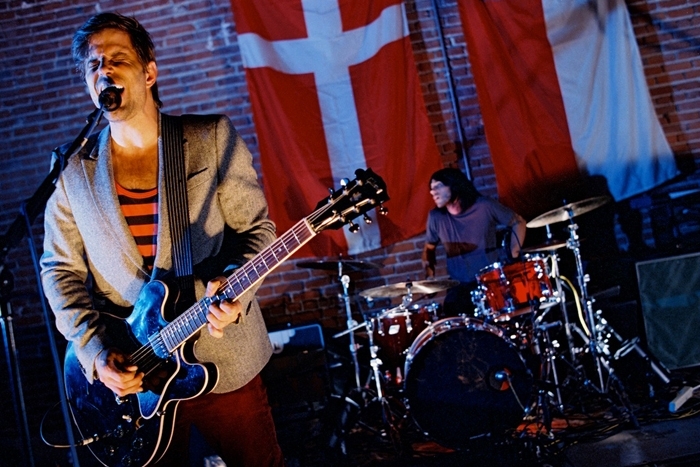 Exposed film should be processed promptly in C-41 chemicals to preserve latent image latitude and color fidelity. 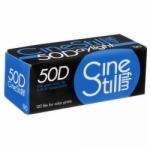 All current productions of CineStill have expiration dates for one year from manufacture date on the packaging. If you have Alpha production film (no retail box), it should be used before 2018. Note: This film was designed to be processed in ECN-2 Chemicals and may still be processed in it's native chemistry, resulting in a 500 ISO pulled negative with lower gamma. Test results show consistent in standard C-41 machine processing when compared with ECN-2 motion picture lab processing performed by professional labs. Long term archival stability has not been tested past 4 years. Expectations for archival longevity should be somewhere between Kodachrome and most C-41 films but there are no guarantees. CineStill 50D ISO 50 35mm x 36 exp.